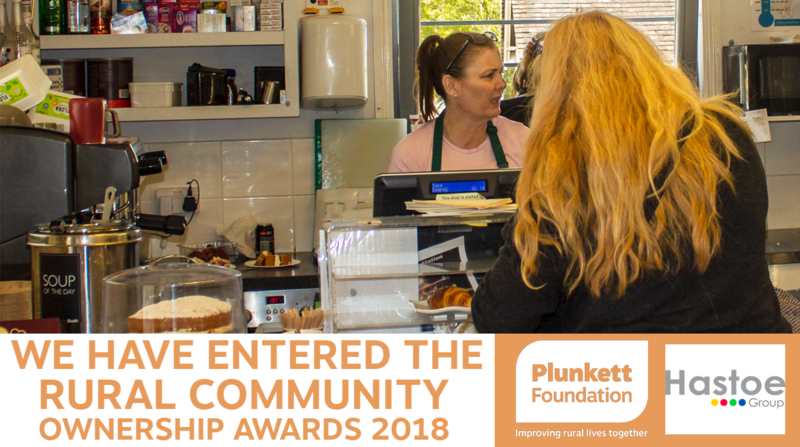 The Plunkett Foundation helps rural communities UK-wide to tackle the issues they face, through promoting and supporting community business. They helped the shop in the initial concept and development with invaluable practical advice and support, which we are very grateful for. Their annual awards celebrate the work community businesses do to help support rural communities across the UK. The Community Shop has been entered into the ‘Investing in Local People’ Award. This category is looking to recognise the efforts of one community business which goes above and beyond to support and invest in its staff, volunteers and service users. Without our local residents, businesses and all our other support, the shop would not be the success it is, so Thank you! !